OK, let’s get one thing straight from the beginning. I do not squeak! I do, however, talk. So if you want to have a kitty with whom you can have a pleasant conversation, I might just be the guy for you. I will be more than happy to keep you company and listen to you tell me how your day went. In fact, I will pretty much hang on your every word and not leave you alone until you tell me all about what you’ve been doing. In return, I will tell you all about my day and I usually have some interesting things to talk about. 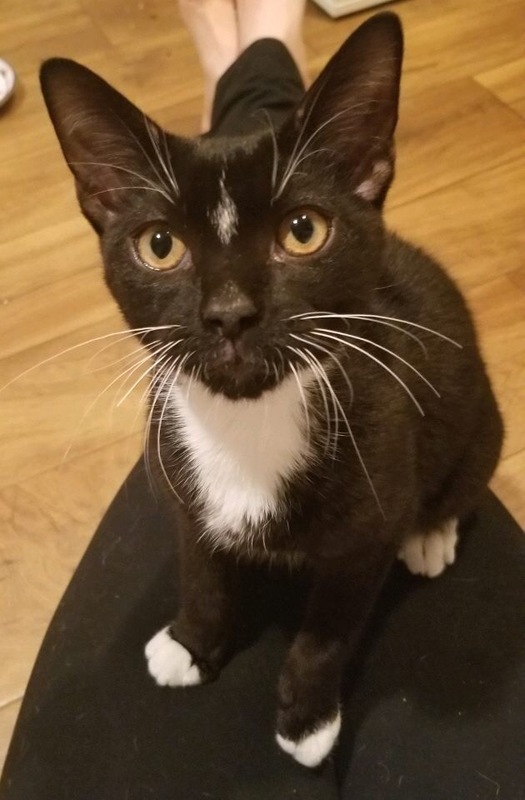 I can tell you about the birds I’ve watched, the toys I have played with, the fun I have had with my foster cat buddies, and if you will introduce me to other people, I will tell you how much I enjoyed their company. Truly I love everybody I meet and I am a big fan of other cats. I’m not so sure about dogs; they might be OK if they leave me alone. If you are looking for a companion for yourself and another cat, just give me a holler… or even a squeak! For more information on Squeekers, please email cats@lostdogrescue.org.